By the start of the '77 season big changes were upon the sport. The Inter-Am tour was gone, and the Trans-AMA tour was beginning to lose its luster, as beating the Europeans was no longer an impossible task. 500Cc World Champion Roger DeCoster was still a regular visitor, but not a dominant winner like he had been in previous seasons. His battles with America's new hero, Bob Hannah, were among the best in motocross history, and Roger did manage to win the '77 series, his fourth in a row but his final one. 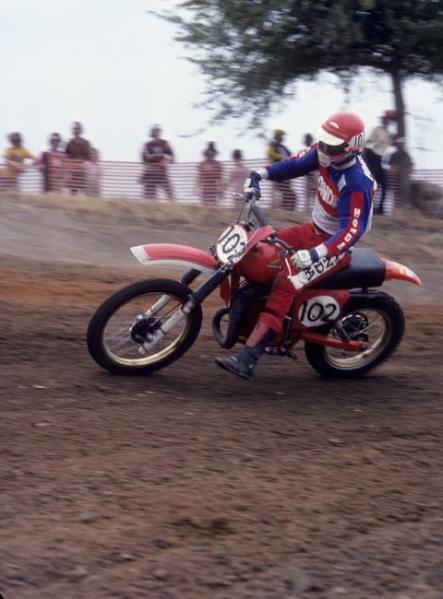 Bob Hannah was the fastest man in 1977, but he somehow managed to only win the AMA Supercross title. 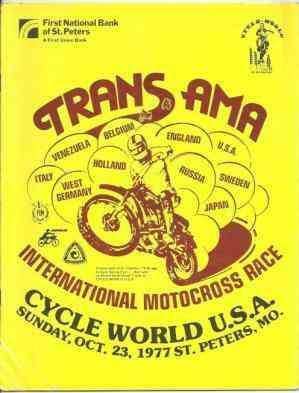 AMA Supercross was also growing. Hannah, who's nickname “Hurricane” did not come directly from Jim Gianatsis, as mentioned here in the '76 review, dominated what was now a 10-round series (which no longer included a 500 class and was years away from adding a 125 component). Hannah won more than half the rounds on his factory Yamaha and was the only man to win more than one main event. Honda had even brought Jim Pomeroy back from Europe and away from Bultaco in the hopes of holding back the Hurricane, but “Bimbo” (or “the Yakima Flash,” depending on your preference in nicknames) could not hold it together long enough to make a dent in Hannah's progress, though Hannah would be shutout in the outdoors. 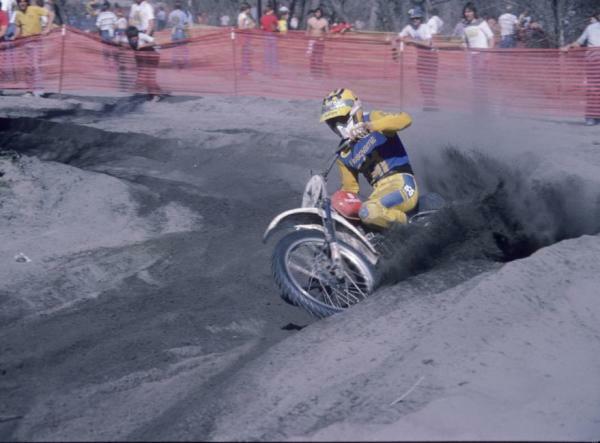 Kent Howerton was the defending AMA 500 champ on Husqvarna but he also made a go of the 250 title early on. As the defending class champion, Yamaha assigned Hannah to focus on the 125 class, which did not please the ambitious hero. 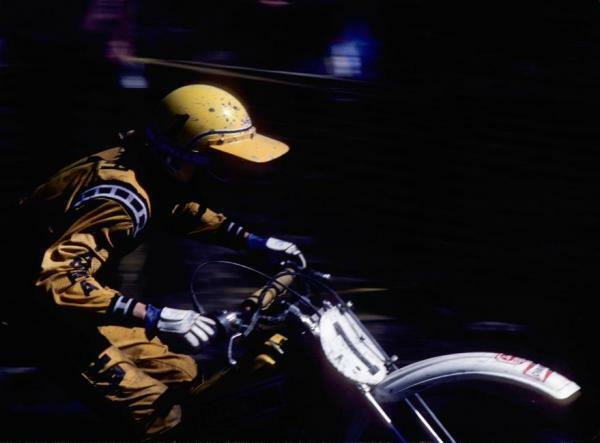 He lost the first round to Suzuki's fine prospect Danny LaPorte, but then won three of the next four rounds of the six-race tour, including the super-rough Keithsburg, Illinois sand race. But a mechanical breakdown proved costly, and Hannah was too far back in the points at the final round to challenge LaPorte for the title, but his teammate Broc Glover could. So Yamaha asked Hannah to help Glover win the title. On the last lap of the final moto in San Antonio, Hannah's mechanic Keith McCarty was told to write “Let Brock Bye” on Hannah's chalkboard—the most notorious out signal in motocross history (even with two grammatical errors). Hannah grudgingly obeyed, Glover tied LaPorte on points at 240 apiece, but was awarded the title based on the fact that he had two wins—including the controversial one in Texas. Hannah did win rounds of both the AMA 250 and AMA 500 class championships, but he was only riding partially in the 250 series and watched Tony DiStefano take his third straight title for Suzuki over Marty Smith, Hannah's rival from the previous year's 125cc title chase The real footnote in history here came with Jimmy Ellis' win in Nashville, TN which would mark the last major victory for the Can-Am brand, which just four years earlier could claim a sweep of the 250 Nationals. But there was more drama in the 500cc series. Hannah and Smith again went at it, and they took the championship down to the final round at the old St. Petersburg, Florida, Sunshine Speedway. There Hannah would lose his shot at beating Smith when his throttle cable snapped and Hannah DNF'd. He would lose the title by 24 points to Smith. The race winner that day was Smith's Honda teammate Tommy Croft, who was actually competing just this past weekend at Diamond Don's Vintage Classic in Jefferson City, Texas. After four years in Europe, Honda brought back Jim Pomeroy to battle with Bob Hannah on the AMA circuit in 1977. Unadilla was also hosting major races, just not AMA Nationals, as the Robinson family farm in Upstate New York ran the Trans-AMA Series as well as the first 250cc U.S> Grand Prix. As far as the tracks involved in the tour, Mt. Morris, Pennsylvania's High Point would join the tour for the first time and, Like Hangtown, Red Bud, Unadilla, and Southwick, it remains on the schedule today.